We strive to provide not just reliable rental cars but also reliable information and services. These fuel efficient Volkswagen Campers are ideal for two persons traveling around Iceland. Get to know the Caddy Beach. GPS Navigation, Child seats & boosters, Free hotel pick-up and Additional cover for peace of mind. RAS Car Rental in Iceland offers rental cars and 4x4 vehicles in the Reykjavik area and at Keflavik airport. 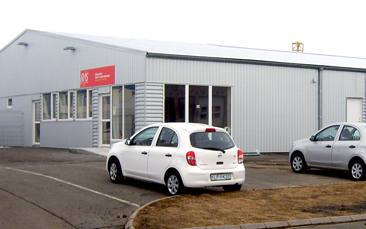 RAS Car Rental in Iceland was founded in 1985. We are known for low prices, good personal service and reliable rental cars. We offer modern cars of many sizes and types, from small economic passenger cars to bigger and more comfortable 4x4 jeeps. Most of the rental cars are delivered at the International Airport in Keflavik and in Reykjavik, the capital of Iceland where hotel pick-up is free of charge to our customers within city limits. Please read more about our range of extra equipment and additional services here. Check out our Partners for Accommodation in the Capital Area. New Travel App for Iceland - Personal tour guide and bookings - more here!